For most artists, being invited to join a social circle was important, even career-changing, as it brought them into contact with peers and patrons. 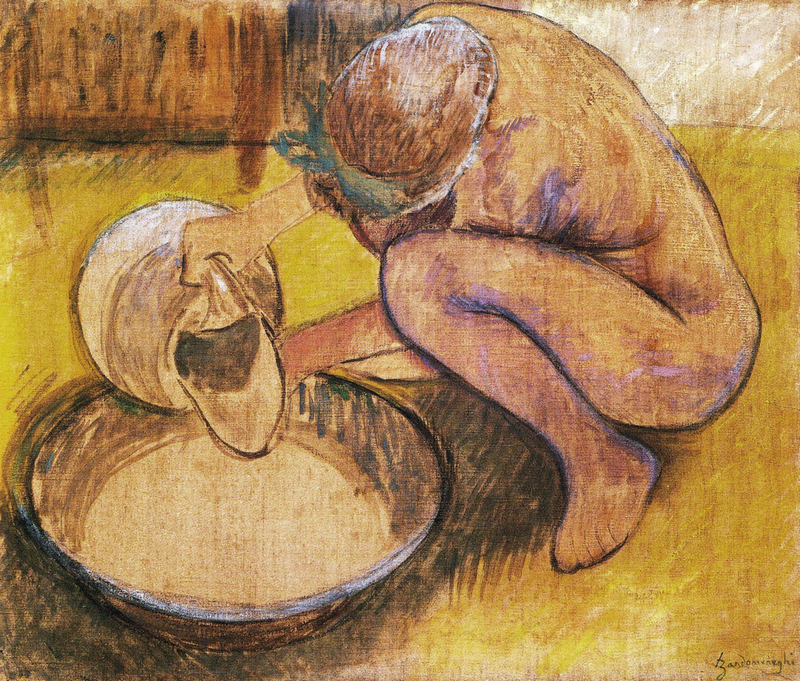 A few artists have themselves been at the centre of circles, and Edgar Degas (1834-1917) was perhaps one of the most influential. From his meeting with JAD Ingres (1780-1867) in 1855 to his friendship with the young John Singer Sargent (1856-1925), Degas was nothing if not thoroughly sociable. 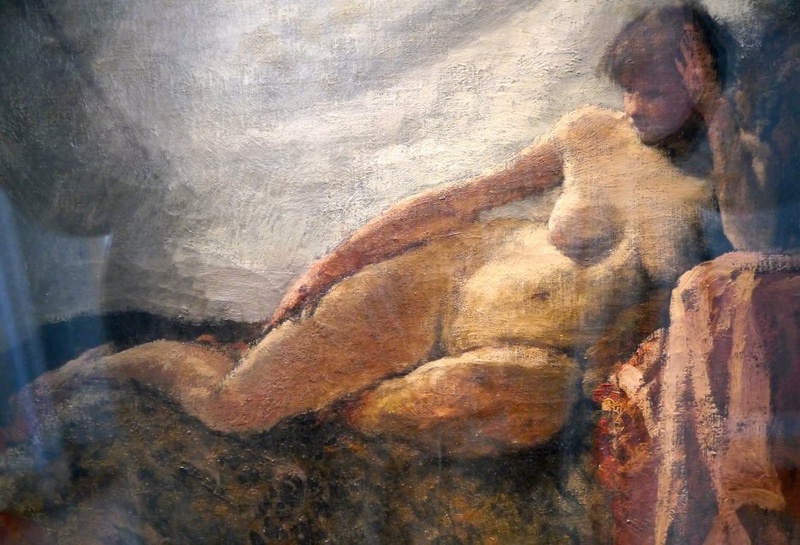 This article is the first of two summarising some of the more significant artistic friendships of Edgar Degas, and suggests visually some potential influences resulting from them. One of Degas’ longest friendships was with Vicomte Ludovic-Napoléon Lepic (1839-1889), who was persuaded by Degas to associate with the Impressionists and exhibit in the First Impressionist Exhibition in 1874. Lepic’s lover was Marie Sanlaville, one of the ballet stars of the Paris Opera who was also well-known to Degas, and appears in some of Degas’ paintings of the ballet. 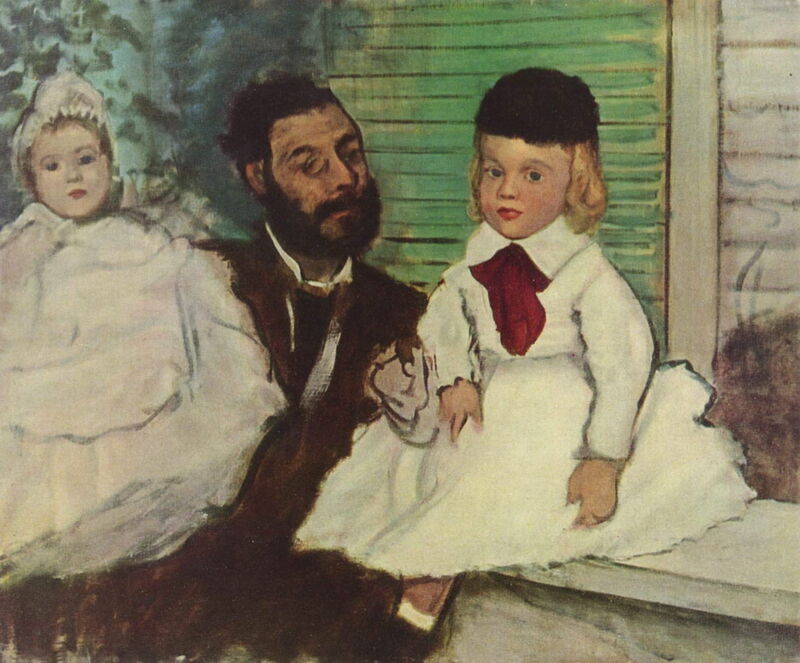 Lepic broke from the Impressionists because of their insistence that members did not show at the official Salon, but appears as a model in several of Degas’ paintings, including Count Lepic and his Daughters (1870), below, and Place de la Concorde (1875), which shows Lepic and his daughters, with their dog. 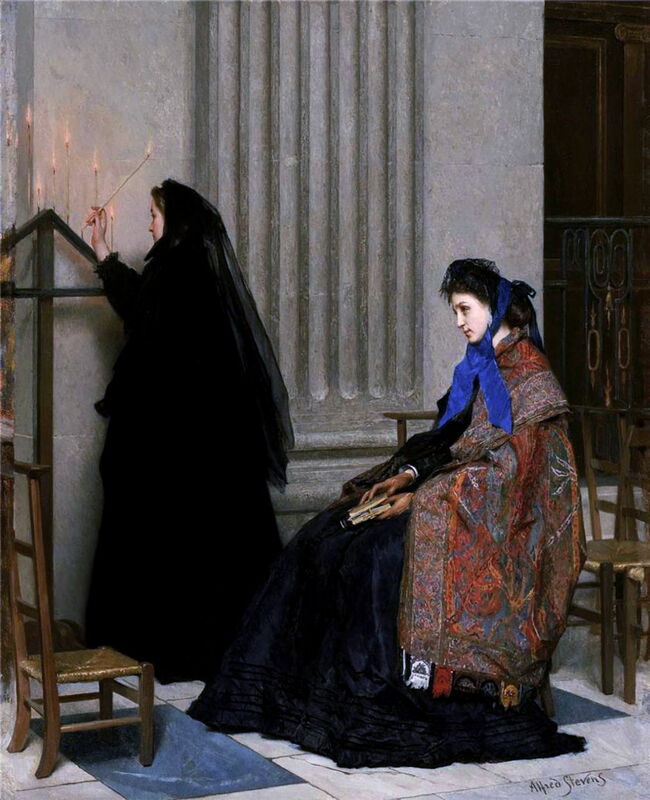 Lepic became a successful marine painter, eventually being appointed as such to the French State in 1883. 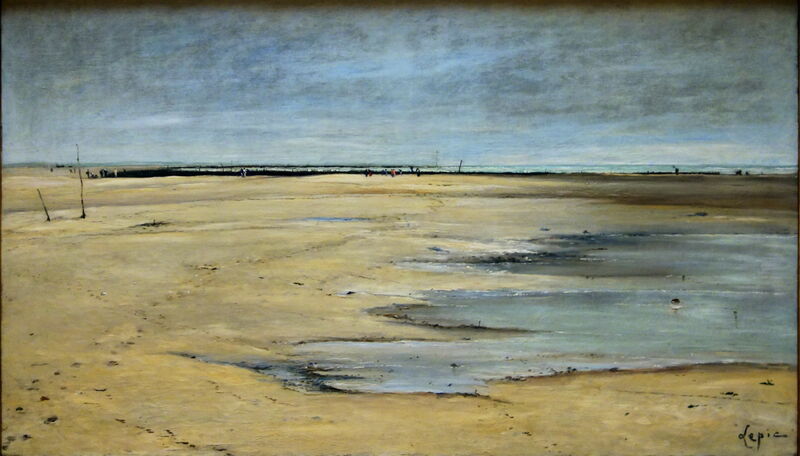 Some of his paintings of the coast are reminiscent of Degas’ small series of coastal landscapes painted around 1870. 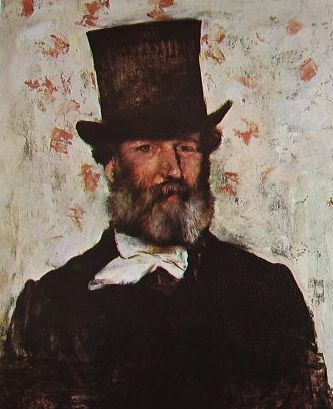 Jacques Joseph (James) Tissot (1836-1902) was also a student of Louis Lamothe (1822–1869), and appears to have become a friend of Degas’ early in his career, together with the successful portrait painter Alfred Stevens (1823–1906). Degas is thought to have first met Édouard Manet (1832-1883) in 1862 or 1864, and from then had a close friendship until Manet’s death. It was not without its strains, though: in 1868, Degas painted a double portrait of Manet and his wife Suzanne, an accomplished pianist. Manet then slashed the canvas through his wife’s image, prompting Degas to ask for its return, so that he could repaint it – which he never did. Nor do we know the reason for Manet’s mutilation of the painting. Degas became a friend of the Rouart family of industrialists, particularly Stanislas-Henri Rouart (1833-1912), who trained as an artist and exhibited in the Salons from 1868-70. During the Franco-Prussian War of 1870, Rouart and Degas served alongside one another in the defence of Paris. When Rouart’s work was refused by the Salon in 1873, Degas invited him to take part in the First Impressionist Exhibition the following year, where he showed four paintings and some prints. Rouart was also a friend of Gustave Caillebotte. With his Italian family origins, Degas was often an important point of contact for Italian painters who moved to Paris, particularly those who associated with the Macchiaioli (sometimes considered as ‘Italian Impressionists’). When Giuseppe De Nittis (1846-1884) first came to Paris in 1867, he made friends with Degas, a relationship which remained close until De Nittis’ death. (Jean-Baptiste-)Léopold Levert (1828-1882), about whom we know very little, was a friend of Degas, who also painted his portrait (below). Levert took part in the Impressionist Exhibitions of 1874, 1876, 1877, and 1880. 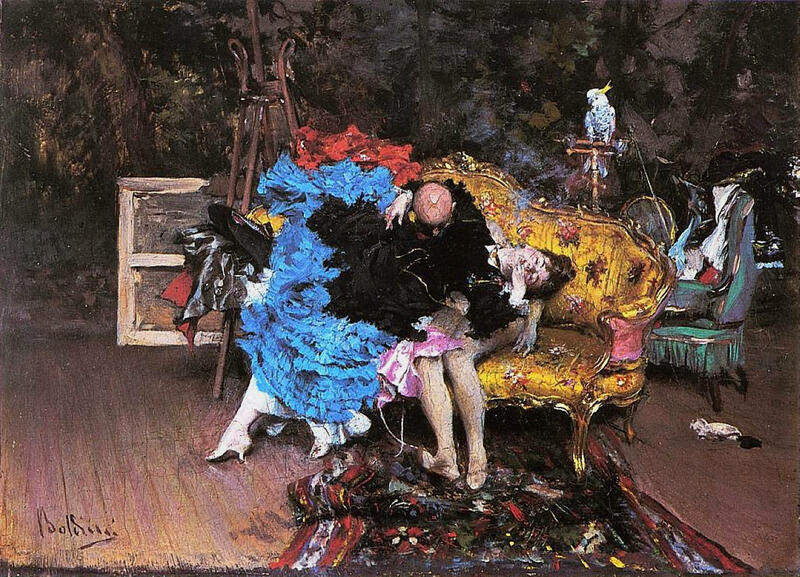 When Giovanni Boldini (1842-1931) moved to Paris in 1872, he became a good friend of Degas, and was also a friend of John Singer Sargent – sufficient to have painted Sargent’s portrait twice. Boldini painted, and De Nittis made a drypoint print of, Degas’ portrait. Another member of the Macchiaioli who moved to Paris in 1873, Federico Zandomeneghi (1841-1917) entered the outer circle of Impressionists, becoming friends with Degas, Pissarro, and Sisley. 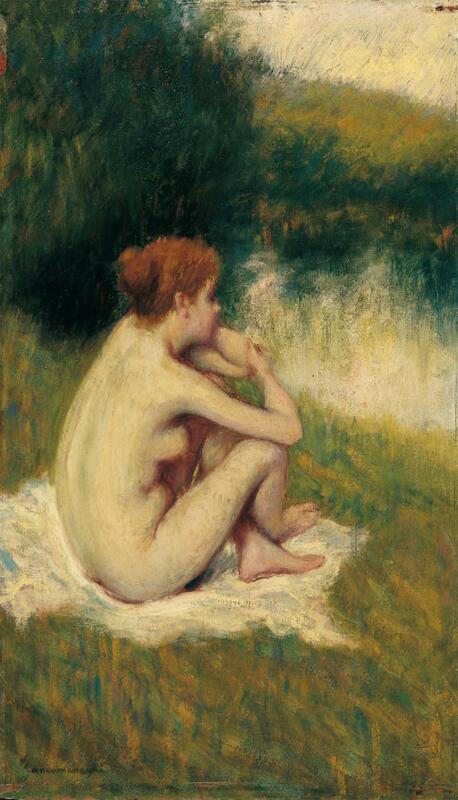 Although I don’t have dates for them, Zandomeneghi’s paintings of nudes were clearly influenced by those of Degas. 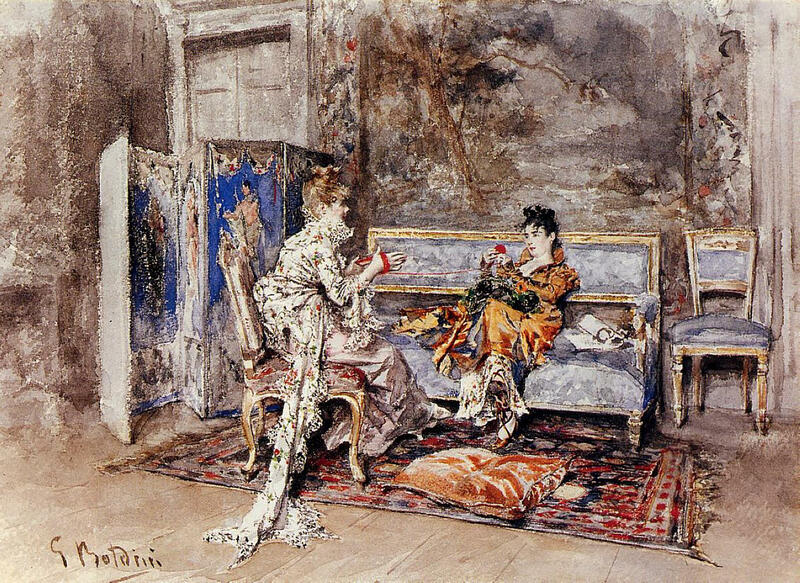 Posted in General, Painting and tagged Boldini, de Nittis, Degas, Ingres, Lepic, Levert, Macchiaioli, Manet, painting, Rouart, Sargent, Stevens, Tissot, Zandomeneghi. Bookmark the permalink.